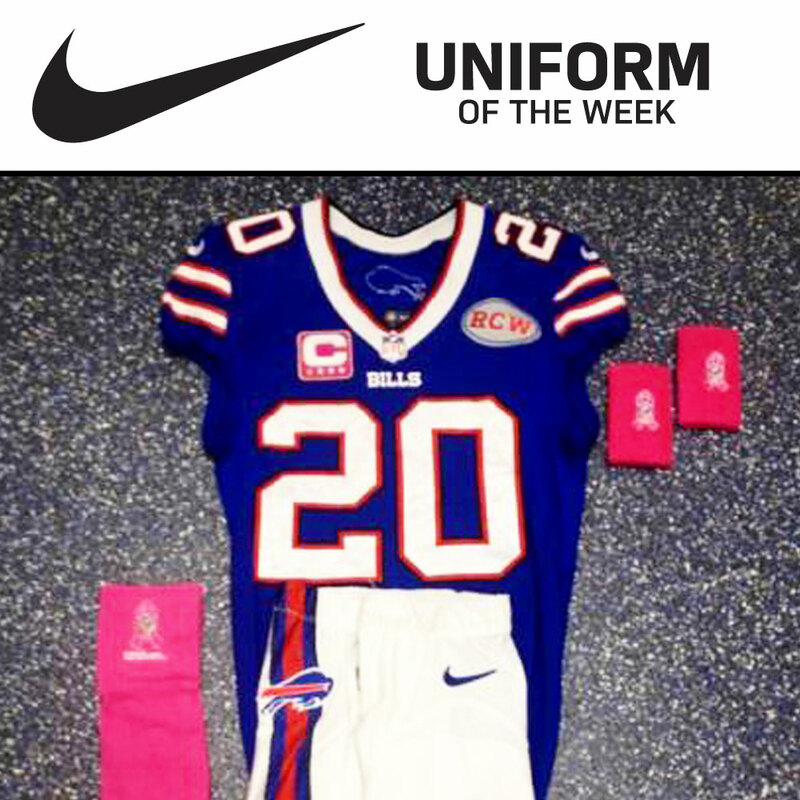 The uniform combo for the Week 6 game between the New England Patriots and the Buffalo Bills will be the team’s blue jerseys on white pants with pink mixed in for Breast Cancer Awareness. 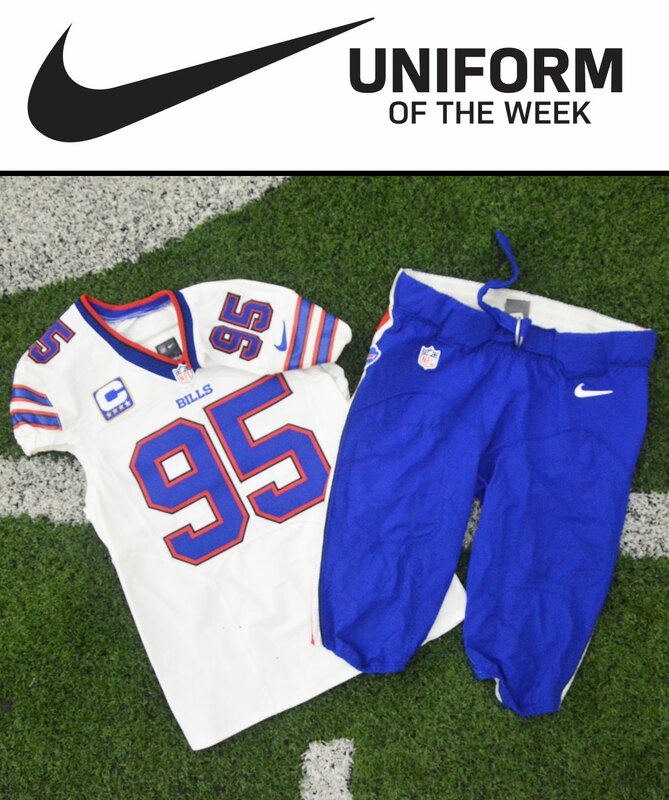 Shop for your own Nike jersey by clicking here! The uniform combo for the Week 5 game between the Buffalo Bills and the Detroit Lions will be the team’s white jerseys on blue pants. 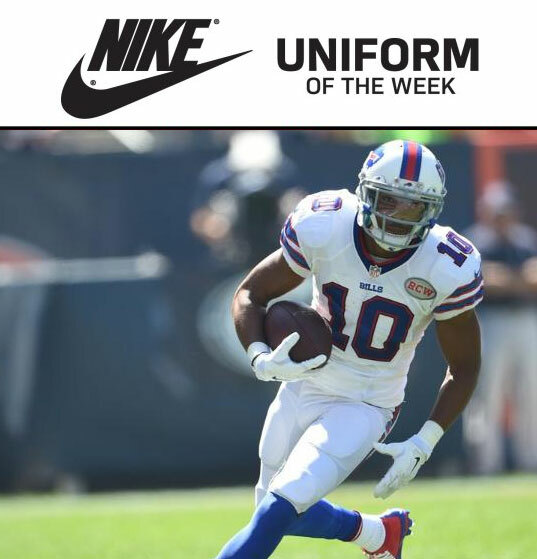 Shop for your own Nike jersey by clicking here! 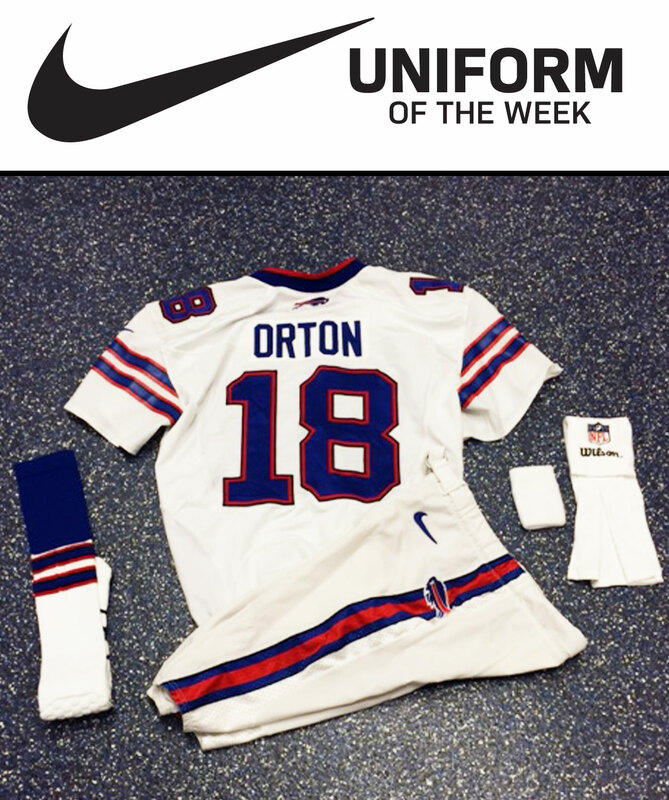 The uniform combo for the Week 4 game between the Buffalo Bills and the Houston Texans will be the team’s white jerseys on white pants. 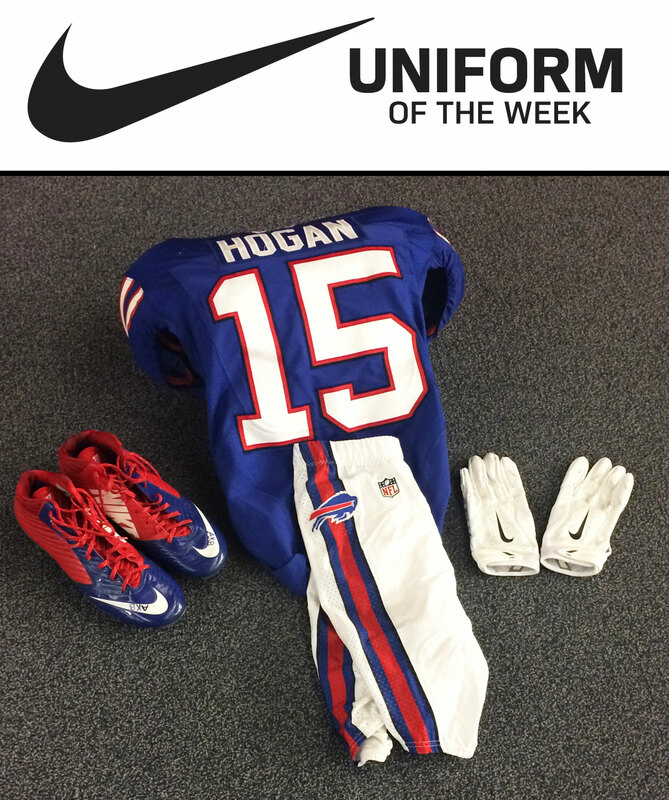 Shop for your own Nike jersey by clicking here! 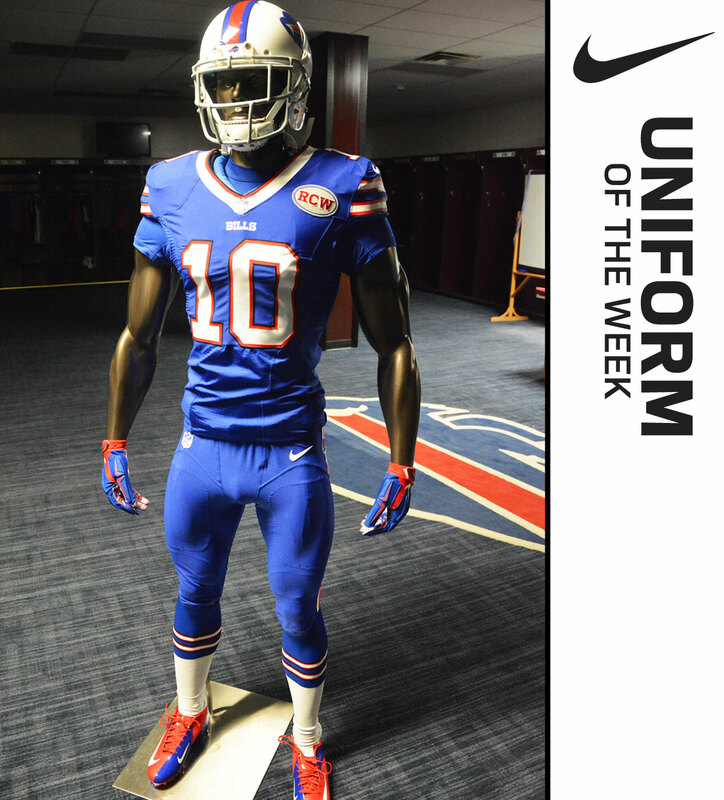 The uniform combo for the Week 3 game between the San Diego Chargers and the Buffalo Bills will be the team’s home blue jerseys on white pants. 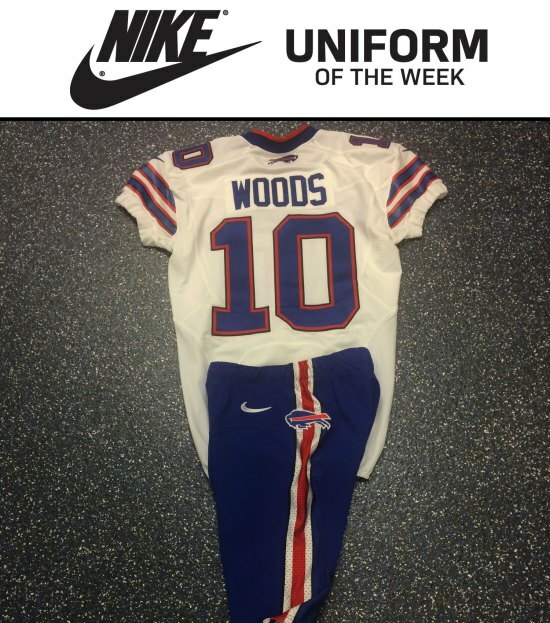 Shop for your own Nike jersey by clicking here!